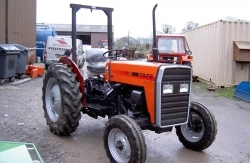 Tractors and Farm Equipment Ltd (TAFE) was established in 1961, in collaboration with Massey Ferguson UK. TAFE's objective was to empower farmers through total farm mechanisation by manufacturing a complete range of tractors, implements and accessories. 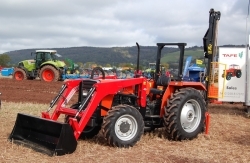 The TAFE range has been developed and improved using the very best in world tractor design and modern technology. 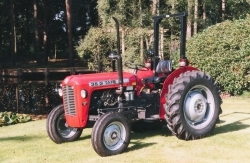 TAFE now manufactures over 150,000 tractors per year in the 25-45hp range, in addition to a wide range of accessories. 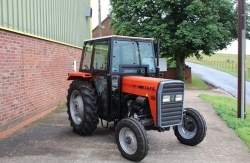 Originally designed for heavy duty farm work, TAFE tractors are reliable, economical and able to cope with the rigors of the toughest agricultural or horticultural applications. 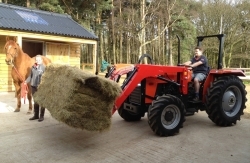 The TAFE range is also ideal for use on smallholdings, golf courses, equestrian centres, forestry, nurseries and caravan parks. The simple design means that minimal knowledge is required for operation and servicing, and by avoiding sophisticated electronics the TAFE range combines low cost, minimal maintenance with excellent durability. Most importantly, the interchangeability of the spare parts enables them to be sourced from ourselves or other parts distributors. Two year parts & labour warranty on all new Tafe tractors All tractors include: Swinging drawbar Hydraulic tipping pipe Spring suspension seat, seat belt cat 1 & 2 three point linkage Comprehensive toolkit, toolbox Click on pictures to read full specifications.